I’ve been so busy sweating it out in SE Asia that I almost forgot it was holiday season. 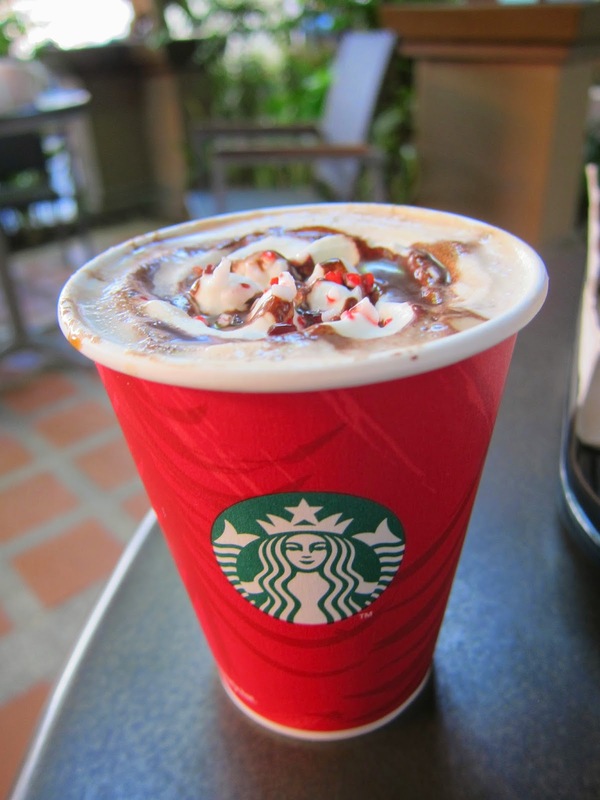 This is my first winter in a tropical climate, (unless you count the two weeks I spent in Mexico in 2010), so I practically laughed when I saw the sign for Starbuck’s winter drinks surrounded by palm trees. Nothing like a piping hot latte on a humid 90-degree afternoon. 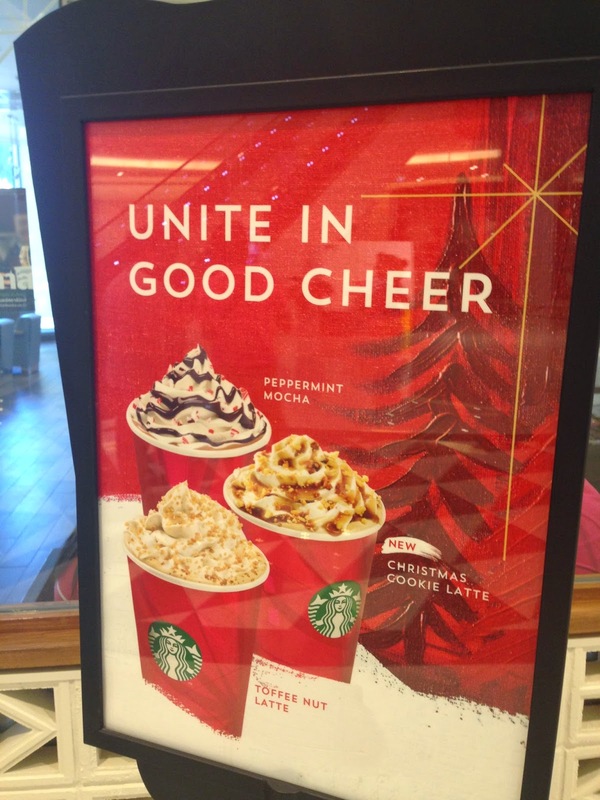 Last year I got to sample the holiday drink selection in both Japan and Taiwan. Having spent many chilly winter evenings sipping holidays drinks in America and East Asia, I miss the cold air that is supposed to make the warm, sweet drinks taste so much better. Despite my discontent with perpetual heat, Thailand does have some nice treats to offer. A re-run from last year in Taipei, and by far my favorite. 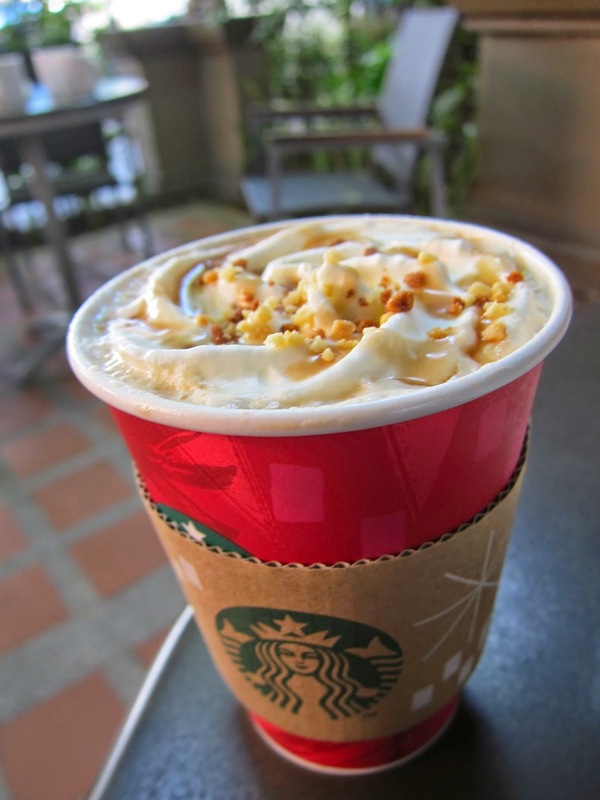 A almost as good as the Caramel Brulee Latte that I miss so much from the USA. Sweet, nutty, creamy, with no superfluous toppings. This one seems to be the most unique offering, and the newest of the trio. 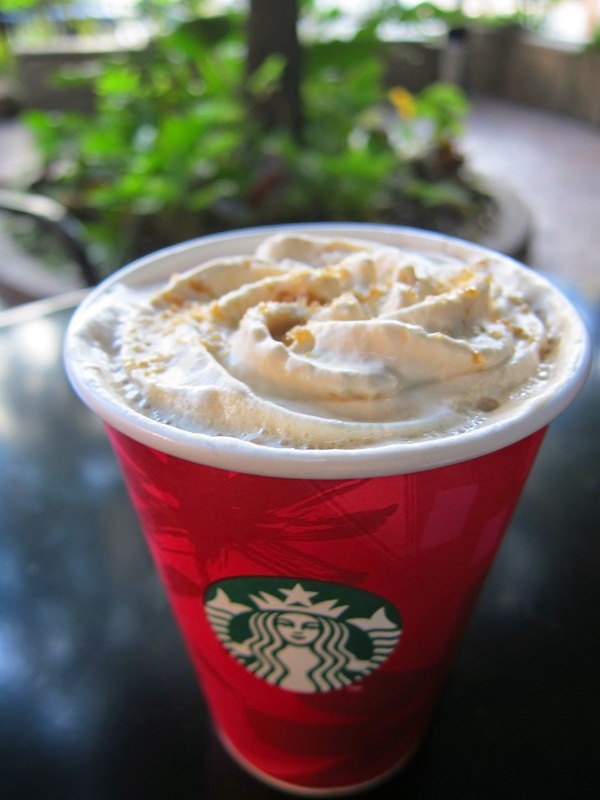 Tastes like the Toffee Nut Latte, only it has cookie crumb toppings. I didn’t like it because the topping got soggy and tasted like wet paper floating in the drink. The flavor is also too bold and syrupy for my liking. I actually hate mint, especially peppermint so I got the short size of this. As it is a mocha it’s much more chocolaty than a latte and a bit bitter. But the mint was very downplayed. Nothing says Christmas like red-colored back with green tree decorations. 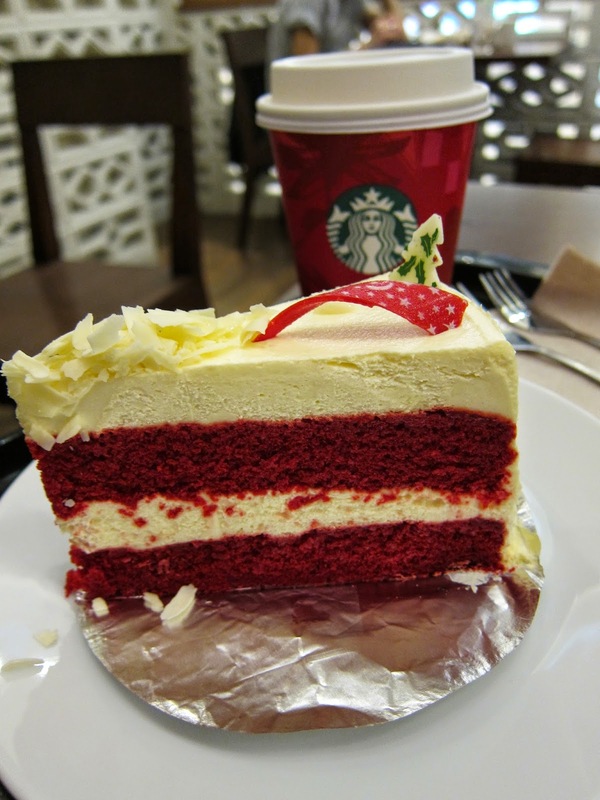 But seriously, this red velvet cake at Starbucks was among some of the best cake I have ever had. Soft and moist, it shames all the other mass-produced, refrigerated cakes I’ve had. Not necessarily holiday-themed or even winter-themed, but the croque monsieur at Starbucks is an excellent way to start the morning. In Japan, the croque monsieur did not have a cheesy top layer and was eaten like a Panini. It was oozy and flavorful, but in Thailand, the croque monsieur is lacking in Bechemal, so this is really a ham and cheese sandwich. Still tasty nonetheless.